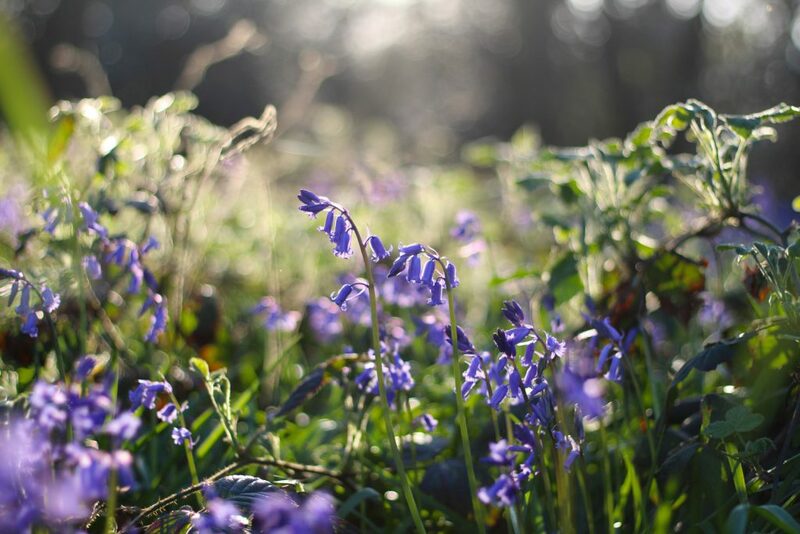 Spring has arrived in Cornwall and with the new season comes beautiful bluebells covering the woodland floors around the county. These breathtaking carpets of blue and purple should not be taken for granted, and are definitely a sight to behold in the dappled sunlight of the Cornish woods. When staying at our luxury Cornish cottages in April and May, why not head out to one of the locations listed below to take in the stunning sight of nature at its best? The National Trust property, Penrose Estate, is a mixture of farmland and woodland. There is a large freshwater lake to walk around along with several other paths through the woods, neighbouring wetlands and beach, and the tracks are suitable for all ages and abilities. 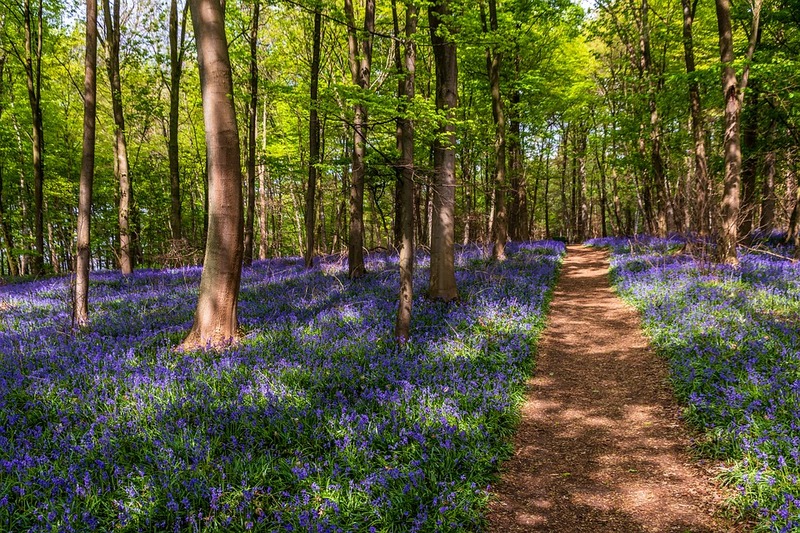 Dogs are welcome too, and seeing the bluebells lining the woodland walk through Park Plantation makes the place come alive. There are plenty of other spring flowers to admire too, and you are sure to spot a few birds around the estate feeding off the luscious land. Godolphin House and Garden near Helston is another National Trust property and set in the stunning Cornish countryside, with 700 years of history to discover. The garden dates to the 16th century and the undulating landscape is carpeted in vibrant bluebells in April and May. Stroll through the tranquil woodlands and next to the river, admiring the beauty of the nature around you. In addition to the bluebell woodland, don’t miss a chance to explore the gardens at Godolphin; the walled King’s Garden has neat hedges, primroses and is perfect for soaking up the spring sun. In the side garden, which is relatively unchanged since the 16th century, the herbaceous borders are coming to life with colour and scent. National Trust Glendurgan is tropical garden perfect for families, with exotic flowers thriving in the lower-valley and an extensive maze to explore. In spring, thousands of wildflowers carpet the sloping sides of the valley’s upper banks, starting with violets and primroses, followed by bluebells in April and May. If you sit in the boat seat, you can admire a sea of bluebells, with a babbling stream and the magnolias which flower later in spring. The view is a quintessential snapshot of British spring and wonderfully contrasts with the exotic plants further into the valley. Enys Gardens, near Penryn, is a private garden offering 30 acres of tranquil and unspoilt land. The open meadow, called Parc Lye, turns shades of blue in spring when the bluebells are in bloom, and the Garden opens for a whole week so visitors can enjoy the natural beauty. While visiting the garden, you can also take in the ponds and water wheel, New Zealand garden, woodland areas with several ancient trees and the flower gardens, which are gorgeous throughout the spring and summer months. Tehidy Country Park cover the largest area of woodland in West Cornwall and is managed by Cornwall Council. 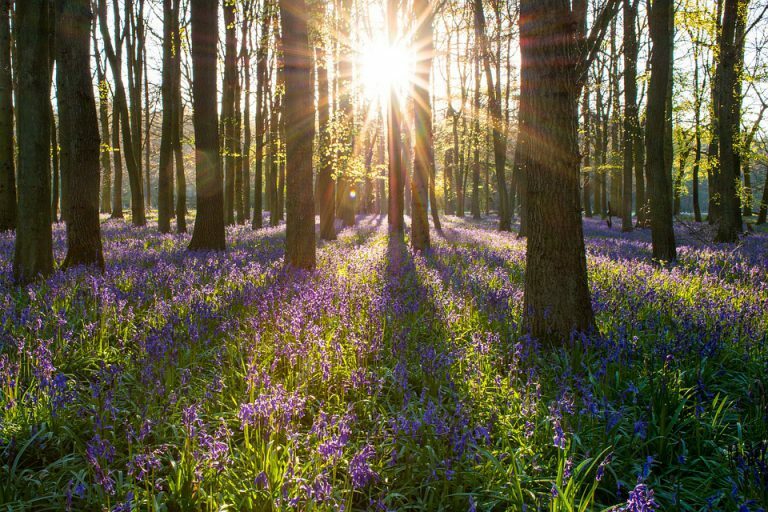 There are over nine miles of paths and 250 acres of peaceful woods which are carpeted in cheerful bluebells in May. You are welcome to cycle around the park as well as walk, giving you the chance to see as much of the wonderful place as possible. There is also a café and picnic area, perfect for the warm sunny days in spring when you want to spend time outdoors with your family! Get in touch today to find out about available dates throughout spring and summer, and take a look at our blog for inspiration on how to spend your time in Cornwall, from the best places for family days out to an itinerary for spending five days in the county.